First Lutheran Church is looking forward to even richer connections with nature in the years to come. 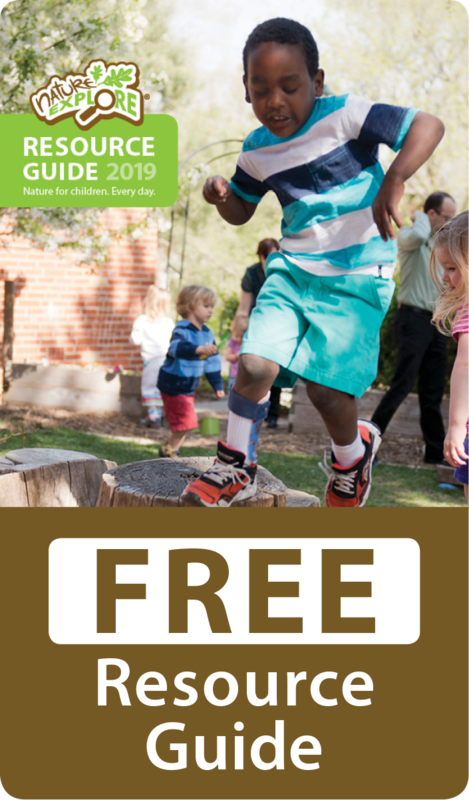 Excited about the opportunities that the Outdoor Classroom and Discovery Space have brought to the early childhood program and congregation over the past two years, the First Lutheran Church is looking forward to even richer connections with nature in the years to come. Board members, staff and the congregation began developing the space in 2009. Over the next two years, there was help and involvement by dozens of congregation members, as well as several Eagle Scout candidates, family and friends. Volunteers offered financial support and donations of everything from bags of sand and mulch, magnifying glasses, outdoor furniture, ornamental shrubs and young trees to bird houses and a variety of perennials from their own gardens. First Learning Center proudly sponsored two Nature Explore workshops for area schools and non-profits with participation from their own director, teachers, board members and members of the congregation. Plants were selected for their suitability to Nebraska’s widely varying temperatures. 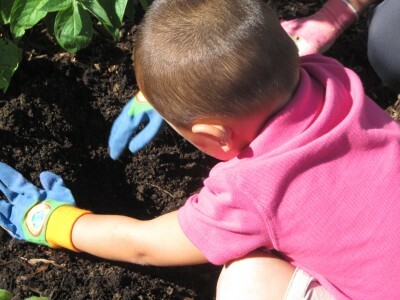 In the fall of 2010, a parent guided preschoolers in planting more than 100 tulip and daffodil bulbs which added delightful color in the spring. The Nature Explore Classroom and Discovery Space includes outdoor benches and tables of various sizes that were handcrafted by a friend of the congregation. Memorial gifts of a tree, shrubs and arbor were also given. A talented high school student designed an inventive speaking tube and a solar powered gizmo board. 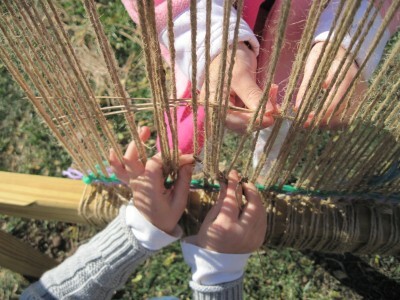 A free-standing loom invites weavers of all ages to create something unique and beautiful while working with natural materials found near the butterfly way station.